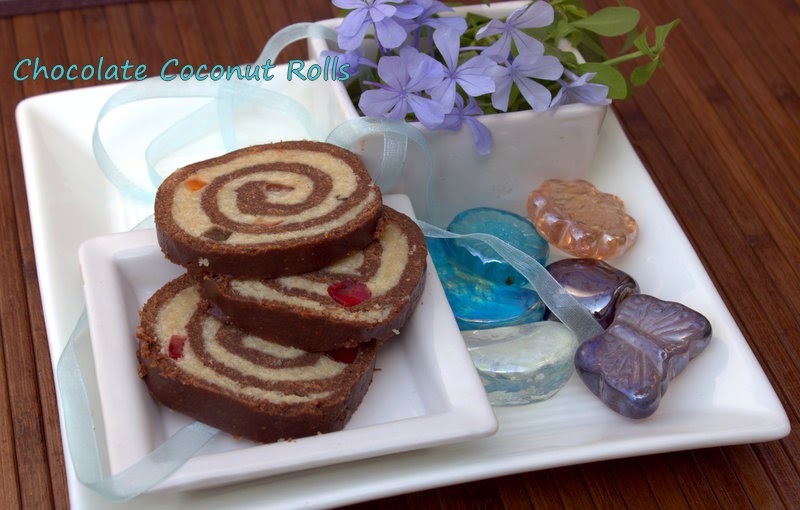 Day 3 I have a choco coconut roll under the Festival theme. These are also no cook and no bake rolls. They are actually simple and taste amazing. 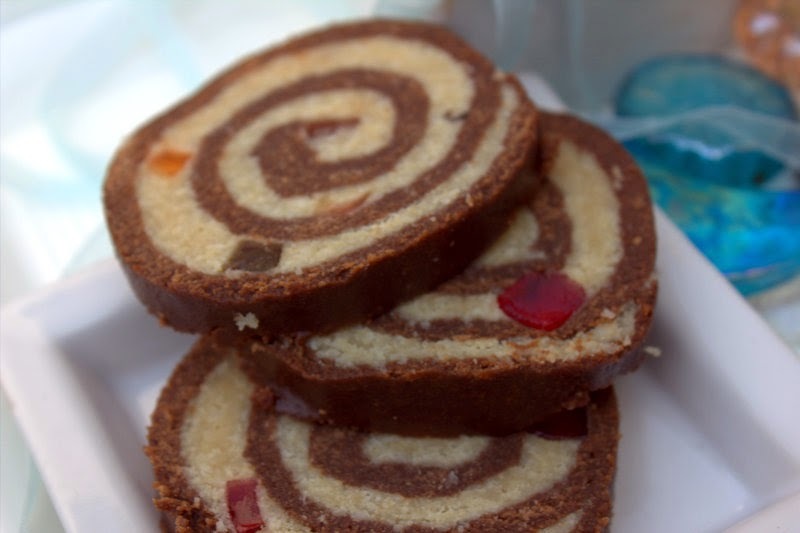 They somehow remind me of bounty bar, I guess because of the chocolate and coconut combo.My aunt saw this recipe on Telly and we both made these rolls which were loved by the kids. They were so excited about the spirals in the roll and they loved the multi colored tutti fruity. 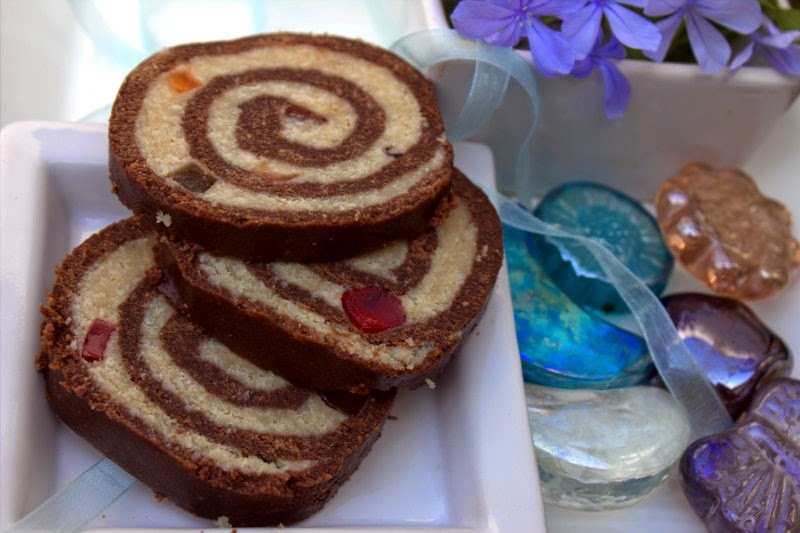 Here is a simple yet interesting treat, which can be individually packed and then gifted too. Pulse the biscuits in the mixer. Add powdered sugar and cocoa and mix well. Gradually add milk to bind it into a dough. Add tutti fruity to the desiccated coconut. Adding condensed milk bind the coconut dough. 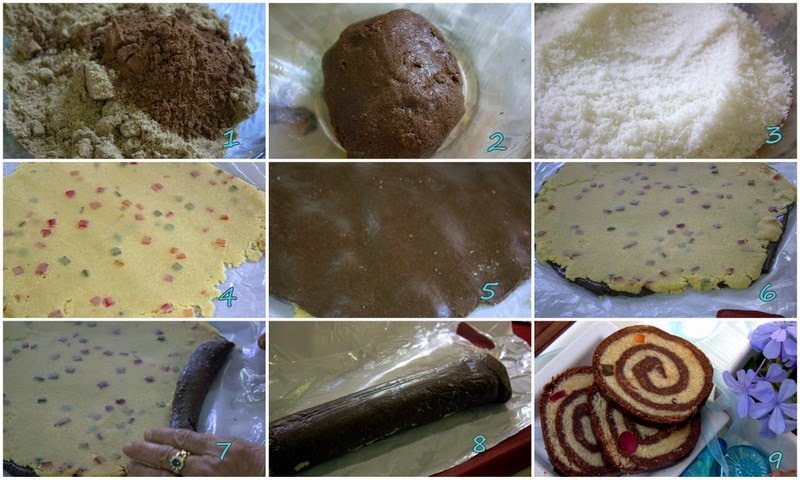 Roll out a big disc from the biscuit chocolate dough on a plastic mat. On another mat roll a disc from the coconut dough. Now place the coconut disc on top of the chocolate one. Beginning from your side start rolling both the discs into a roll. Wrap the roll into a cling wrap and freeze for 2-3 hours.